Months prior to the election, Kundankulam, had been in the news ... sections of press repeatedly gave wide coverage to the protests at idinthakarai as people protesting against the Govt move... Kudankulam Nuclear Power Plant is a nuclear power station in the Tirunelveli district of Tamilnadu. A week before, the Supreme Court shrugged off the last objections from activists and people that the Central and Tamil Nadu governments had failed to carry out court-mandated safety measures to clear the commissioning of the Kudankulam nuclear power project. G Sunderajan, social activist turned Aam Admi Party contestant in the Lok Sabha polls, had accused the centre of failing on this front and sought court intervention to prevent the first phase off the power project and his counsel was Prashant Bhushan of AAP. 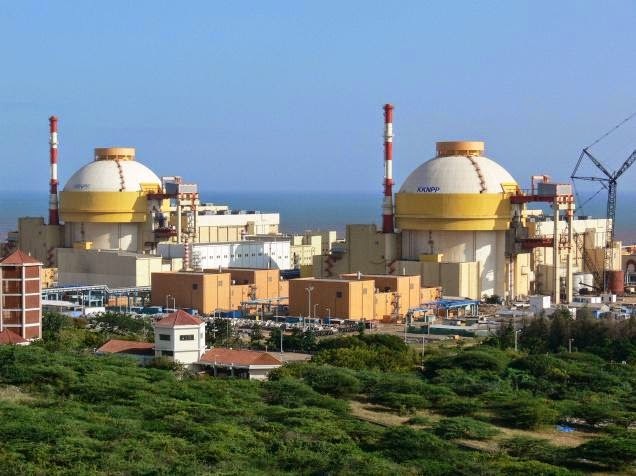 In a moral boost for the outgoing UPA-II, the Supreme Court dismissed a petition to stall commissioning of the Kudankulam nuclear plant in Tamil Nadu while expressing satisfaction at the government’s steps towards safety measures. A bench led by K S Radhakrishnan further nixed a plea to appoint a committee to review the safety concerns and the extent of compliance by the central government and other authorities with the court’s verdict in May last year. The bench noted that most of the directions had been complied with by the authorities and they still had some time left to fulfill the long-term goals. Sundarrajan had moved the court, contending the authorities went ahead with commissioning the plant without adhering to the directions of the Court and Prashant Bhushan alleged that the plant had been commissioned in grave disregard of the safety guidelines that had to be put in place before making it operational. A section of the Press had portrayed that the agitations will have huge impact on the election results in Tamil Nadu. 3 of the agitators were in the fray, all contesting in AAP fold and one of them was a roman Catholic priest. Now the election results are out........ AIADMK has swept the State save 2.. the victory margins of AIADMK candidates have been astonishing ~ they won by margin of more than two lakh in at least 12 constituencies, the biggest one being P Venugopal's 3.2 lakh over VCK's D Ravikumar in Tiruvallur. The AIADMK victory was so emphatic in at least 15 constituencies that the margins were higher than the combined votes of the candidates who came second and third. Our next Prime Minister Narendra Modi set an individual record by winning the Varanasi seat by about 5.8 lakh votes and Vadodara by 5,70,128 votes. He polled 8,45,464 votes in Vadodara while Madhusudan Mistry , a confidant of Rahul Gandhi, could only manage 2,75,336 votes. Both margins were ahead of the BJP's V K Singh who piled up a winning difference of 5,67,260 votes over former actor Raj Babbar of the Congress. On a different plane at Nilgiri where 2G scam, causing an estimated loss to the exchequer of anywhere between `57,600 crore and `1.76 lakh crore was an issue ..... former telecom minister A Raja, was defeated by AIADMK's Gopalakrishnan by a huge margin of more than 1,04,000 votes. The voters in the constituency also sent out a strong message against corruption: As many as 46,500 voters chose the None of the Above (NOTA) option -more than the votes polled by Congress candidate P Gandhi (37,702) and one of the highest NOTA counts across the country . The phenomenon was not restricted to Nilgiris, Chennai Central, where Dayanidhi Maran, was defeated, had a NOTA count of 22,268. The Kudankulam agitations had no impact on the elections at all .. as Udayakumar, Pushparayan and Jesuraj fared poorly at Kanniyakumar, Thoothukudi, and Tirunelveli securing 15314, 26476 and 18353 votes respectively. Photo credit : The Hindu; news from various sources primarily Times of India.